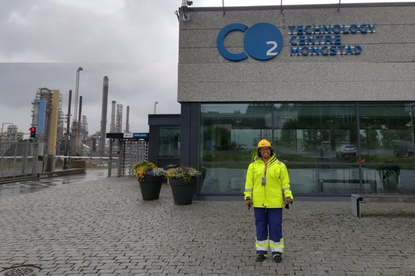 Purvi Jha, Process Engineering Manager at Circular Energy, visited the Mongstad Technology Center (TCM) in Mongstad, Norway. TCM, a joint venture between the Norwegian Government, Statoil, Shell and Sasol, is the world's largest research facility for testing and improving CO2 capture techniques. Purvi received a comprehensive tour and spoke with the Operation Manager, Principal Researcher Innovation and Process Engineer on the experiences of TCM with monoethanolamine (MEA) amines.